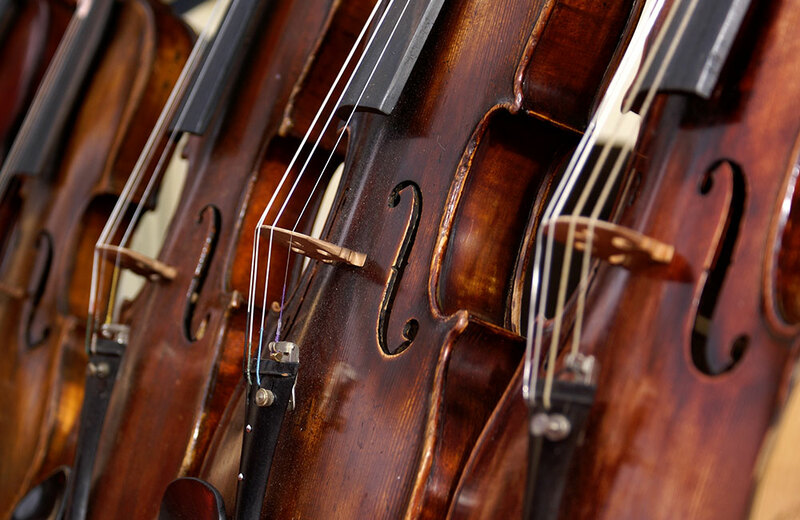 Even affordable student violins come in a wide range of quality and playability. Anyone purchasing a violin will get better service with an established retailer. In the realm of stringed instruments, there is a wide range of prices for entry-level, mid-range and virtuoso caliber violins, violas and cellos. The pedigree and craftsmanship of an instrument are what determine the price, but as with art, vintage automobiles and wine, the relationship between value and price involves some degree of subjectivity. 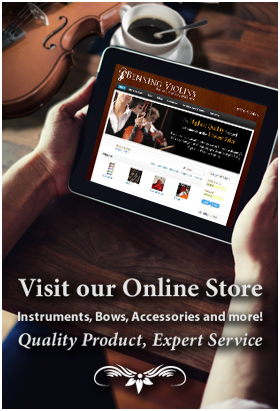 Benning does sell instruments to musicians in other states and other countries who find the family-owned violinmakers online, in part because they sell fine instruments sourced from around the globe in addition to their own high quality concert instruments crafted in their shop with their own label. But such sales are the result of much in-depth discussion about the particular needs of the musician, shipped to that individual for trial and returned if they buyer wants to try something else. Benning stresses the importance of the relationship between the maker-sellers and the buyer. “All instruments need typical maintenance and general repairs,” he says. “The more they play, the deeper their need for a dealer who knows the instrument and can maintain it properly.” The iconic store was founded by Benning’s grandfather in 1953, and Benning feels a responsibility to maintain quality relationships with the music community that will enable future generations of his family to make and sell fine violins, violas, cellos, bows and accessories.